idPhotoDIY is a online passport/ID photo generator. It has many advantages over traditional passport photo studios. 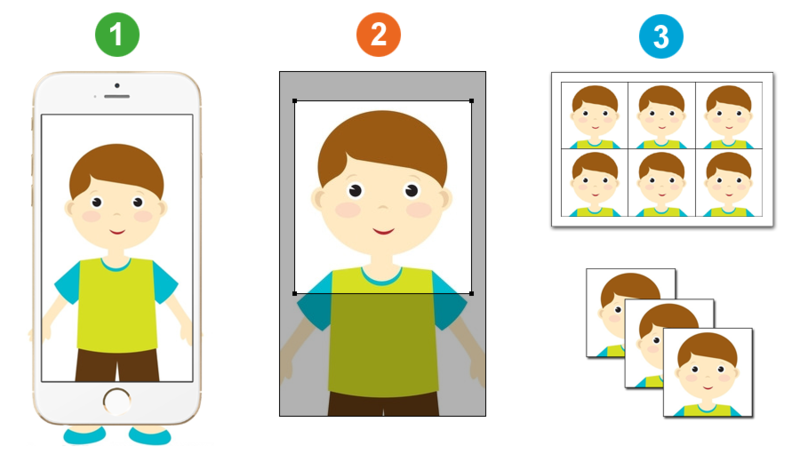 Simple: With just several steps, you can have both printable photos and digital photos. It will take less than 5 minutes to complete. Save money: Nowadays digital cameras or mobile phones are good enough to take passport photo. You don't need a professional photographer to take the photo for you. Save time: You don't need to waste time commuting to the photo studio. You can make the passport photo yourself at home. To print a passport photo, you can order print online at various photo printing websites. © 2018 IDPhotoDIY. All Rights Reserved.